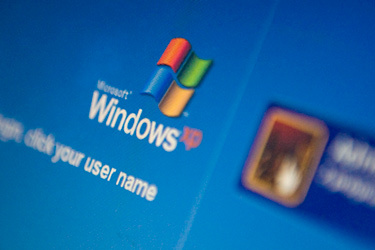 Windows XP no longer being supported after April 8, 2014! Time to upgrade! We have been receiving a lot of calls about Microsoft ending their support on their long-lived Windows XP operating system. As you probably have already heard, Microsoft will no longer be supporting (or releasing updates for) Windows XP. What does this mean and how does it affect me? Throughout every operating system Microsoft has made, they have, and continue to constantly release security updates which are downloaded and installed onto your computer. This is to fix possible vulnerabilities that may have been found after the operating system has been released. Once Microsoft stops releasing updates, any future vulnerabilities that are found by hackers will no longer be corrected, and these hackers will take full advantage of this situation. Viruses that are created will also be customized to integrate themselves within these vulnerabilities and this will make them even harder to avoid. What can I do to prevent being hacked? There are 2 practical choices that are involved in taking the steps to avoiding being hacked. Update your hardware in your computer (if necessary) to at least the minimum requirements of Windows 7, then update your computers operating system to Windows 7 or 8. If your computer is too old to upgrade, purchase a new computer with either Windows 7 or 8 and have your files transferred from your old computer onto the hard drive of your new computer. We are here to help you, and we’ll make your life easy! At Rockland County Computer Repair Services, we strive to make our services as quick, cost effective, and painless as possible for you. Let us make your life easy by letting us do all of the work for you! Regardless of which option you choose, we will take care of your Windows XP computer(s) and all of the steps it takes to either upgrade them or replace them. With our next day service as a standard option, we can have your files from your old computer put on your new computer the very next day after we pick it up from you. With our FREE pickup and delivery service, this is an unbeatable offer! Call us today for a consultation and estimate at (845) 642-2462. Is your data backed up? What would happen if you lost all of your data? It is unfortunately a common scenario. You are using your computer that contains important documents, family photos, or anything else of great value to you when all of a sudden your computer stops working. You call a technician and they tell you that your hard drive is fried and unfortunately your data is lost. 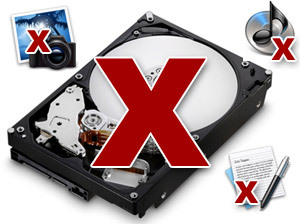 Even the newest, most up to date hard drives can fail within as little as 2 to 5 years. Although this is a terrible situation to be in, it is fortunately 100 percent preventable. It is extremely important that backup software is installed on every computer that you own that contains valuable documents and files. Many times we have been told by customers that they have functioning backup software on their machines only to find out that the software hadn’t actually scheduled a backup in months. Without data backup software running on a fully automated schedule, you are at high risk of losing your valuable documents and files. At Rockland County Computer Repair Services, we will ensure that your computer is backing up your important files efficiently and on a designated schedule. We will set up your computer so that you can be worry-free in the event that something happens to your computer. In fact, we will set up a full “clone” backup of your computer so that all of your files, settings, and even programs can be transferred in the event that you have to purchase a new computer. Your new computer will look exactly the way your original computer looked. This allows you to move to a new machine, yet you can remain familiar with your original setup!